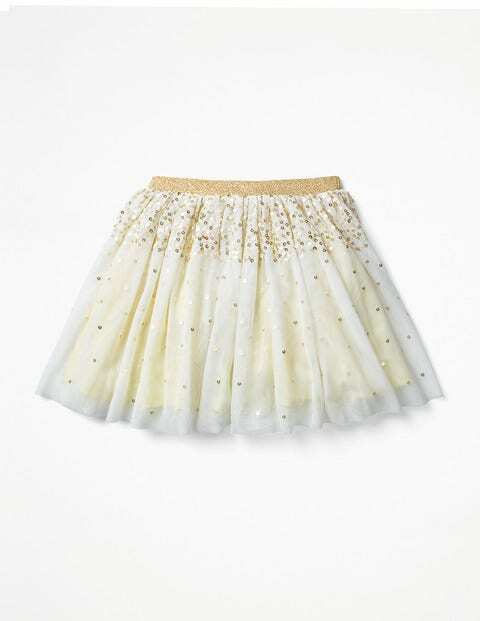 Sparkling at a party isn't difficult in this super-twinkly sequin skirt. Made with delicate tulle layered over a cotton lining, it has even gathers to create a fully circular shape – so twirling is obligatory. The gold elasticated waistband shimmers with shiny discs that gently cascade down the netting. Star bright, star light, indeed.